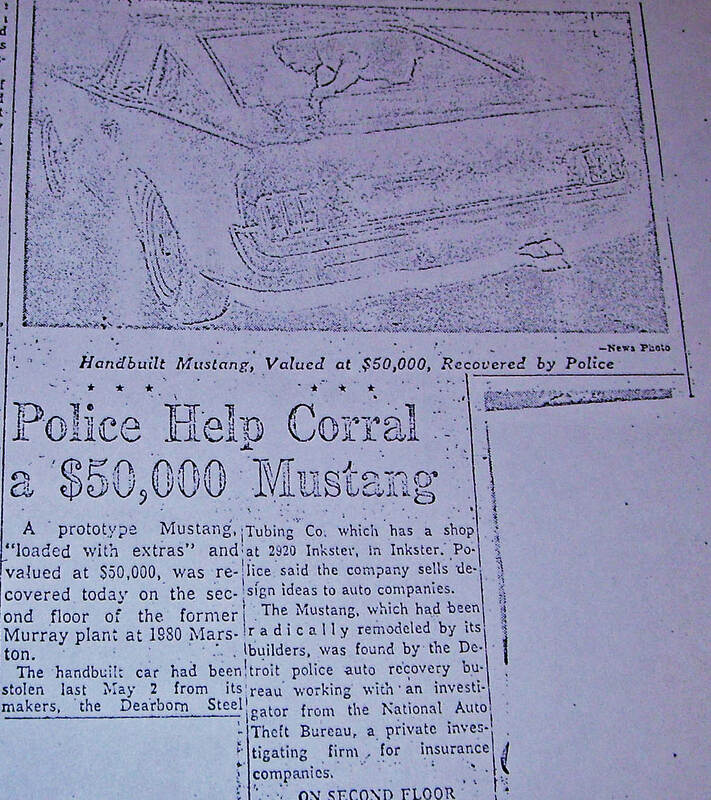 On May 2, 1965, the Mustang III was stolen from a Dearborn Steel Tubing shop in Inkster, Michigan. 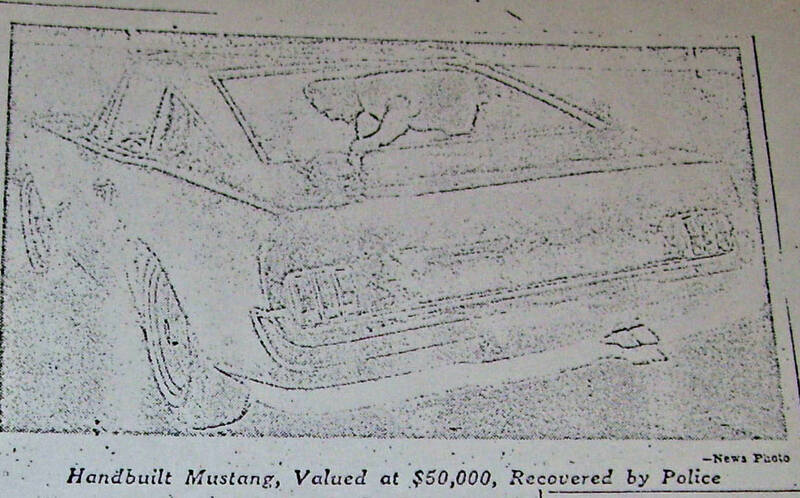 Seven months later, this unique automobile was recovered by the Detroit Police Department. My research has discovered two newspaper articles reporting on the recovery. Current research profile of the Mustang III. 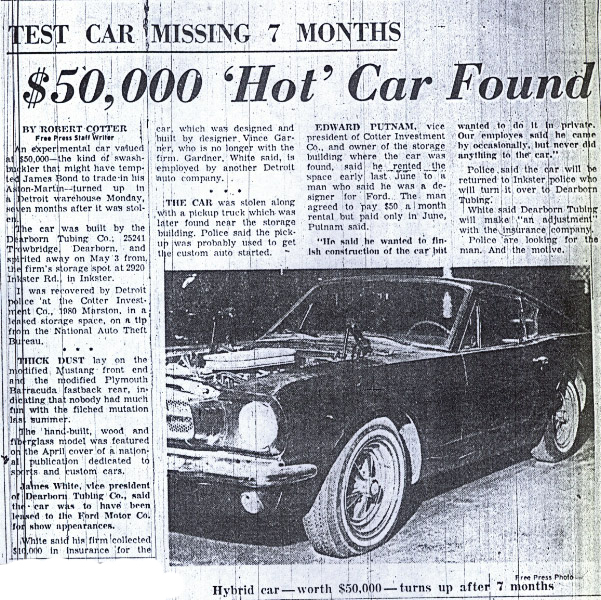 "An experimental car valued at $50,000-the kind of swashbuckler that might have tempted James Bond to trade in his Aston-Martin- turned up in a Detroit warehouse Monday, seven months after it was stolen." $50,000 in 1965 is the equivalent of $380,000 today. 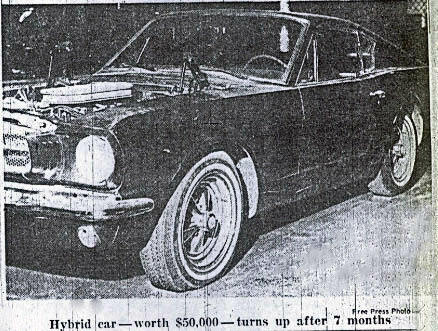 "A prototype Mustang "loaded with extras" and valued at $50,000, was recovered today on the second floor of the former Murray plant at 1980 Marston. 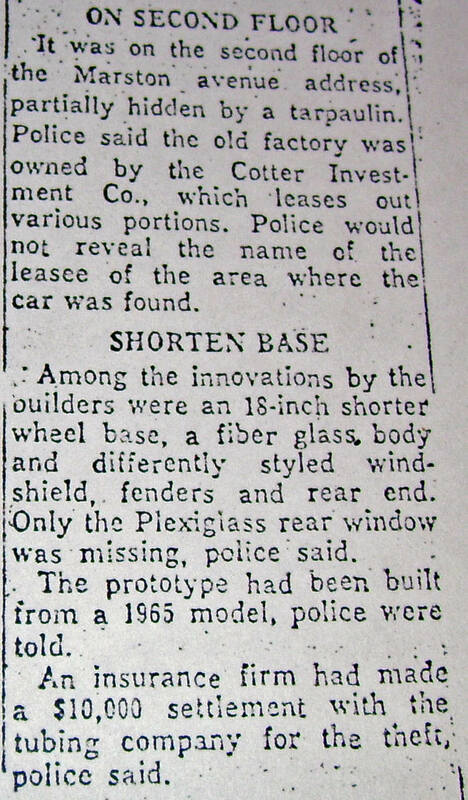 The handbuilt car had been stolen last May 2 from its makers, the Dearborn Steel Tubing which has a shop at 2920 Inkster in Inkster. Police said the company sells design ideas to auto companies."